Minimally invasive or laparoscopic surgery as it is also referred to, has become very popular in the U.S. and around the world in the past two decades. Today millions of general surgical procedures are performed utilizing minimally invasive techniques. Minimally invasive surgery replaces large open incisions with a series of small tube like devices known as trocars (typically 3 to 5 per procedure); a video camera and small surgical instruments are inserted through the trocars to perform surgical procedures. A good example of the benefits of minimally invasive surgery is gallbladder surgery. Laparoscopic gallbladder surgery became popular in the early 1990’s, and now laparoscopic gallbladder surgery is typically performed as an outpatient surgical procedure. Most patients are able to return to work and most activities within four to seven days. 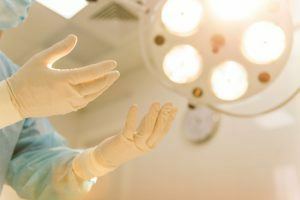 In contrast, gallbladder surgery performed through open incisions involved four to seven day hospital stays, and most patients were not able to return to work for six to eight weeks. Minimally invasive or laparoscopic surgery was originally performed by gynecologists for diagnostic purposes in the 1960’s. Over time as clinical experience grew and laparoscopic surgical tools became more advanced, surgeons were able to perform more complex surgeries. In the late 1980’s, general surgeons began to investigate and adopt laparoscopic techniques. Today, surgeons perform a variety of minimally invasive procedures including gallbladder removal, hernia repair, appendectomy, exploratory laparoscopy, colon resections, and more advanced procedures such as gastric bypass and LAP-BAND® for weight loss in morbidly obese patients. The patient benefits of minimally invasive surgery are dramatic in comparison to traditional open surgery. Due to the many benefits such as less pain, reduced scarring, lower risks of infection, less blood loss, shorter hospital stays, quicker return to work, and post operative incisional hernias, patients have begun to demand surgeons consider the least invasive approaches in meeting their surgical needs. The internet and news media are rich with information regarding surgical options, as well as offering information on the best minimally invasive surgeons, and centers of excellence for minimally invasive surgery. Patients requiring surgery should take it upon themselves to consider all options before agreeing to a treatment plan. A new minimally invasive surgical option that is available is single incision laparoscopic surgery (SILS). This procedure replaces the three to four incisions required by standard laparoscopic surgeries with just one incision in the belly button. The benefits to patients include the potential elimination of visible scars and the pain associated with multiple points of entry. Ask your surgeon if you are a candidate for the SILS procedure. Dr. Long is fellowship trained in minimally invasive and bariatric surgery, and he has performed thousands of minimally invasive procedures. Minimally invasive surgery is performed both on an inpatient (stay in the hospital) and outpatient (go home the same day) basis. Following are some of the types of minimally invasive surgery performed by Dr. Long. This list does not include all the minimally invasive procedures offered at Birmingham Minimally Invasive Surgery, P.C.